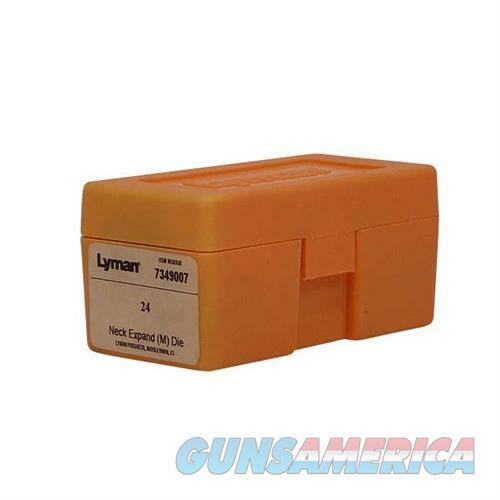 Description: Lyman 7349007 243-6MM Rem Rifle M Dies Expands and flares the case mouth to help ensure consistent bullet seating during reloading. Two-step operation gives brass a longer service life because it doesn't stretch the case like a standard expander button. When used to reload cast bullets it prevents "shaving" bullet material during seating. Hardened steel, heat treated to Rc 50 and hand polished before and after to an 8 RMS finish. Shellholder not included.